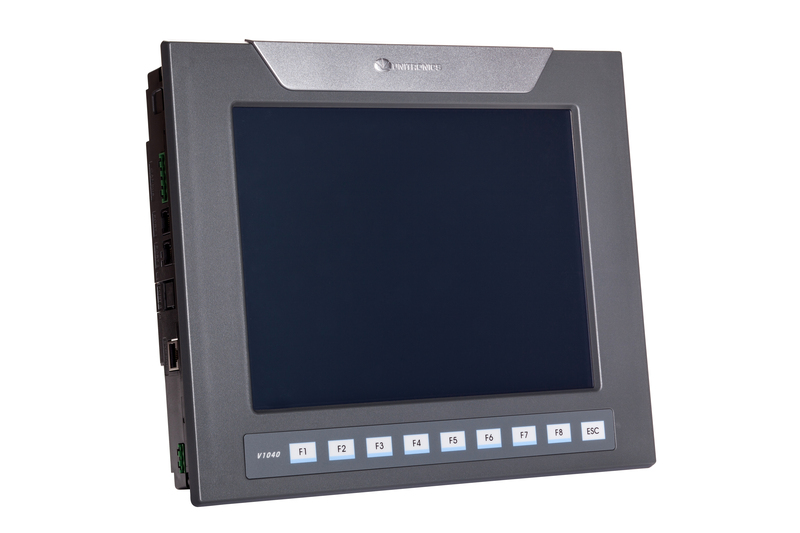 The V1040 comprises of a 10.4" TFT colour touch screen supporting 65,536 colours at a resolution of 800 x 600 pixels (SVGA). 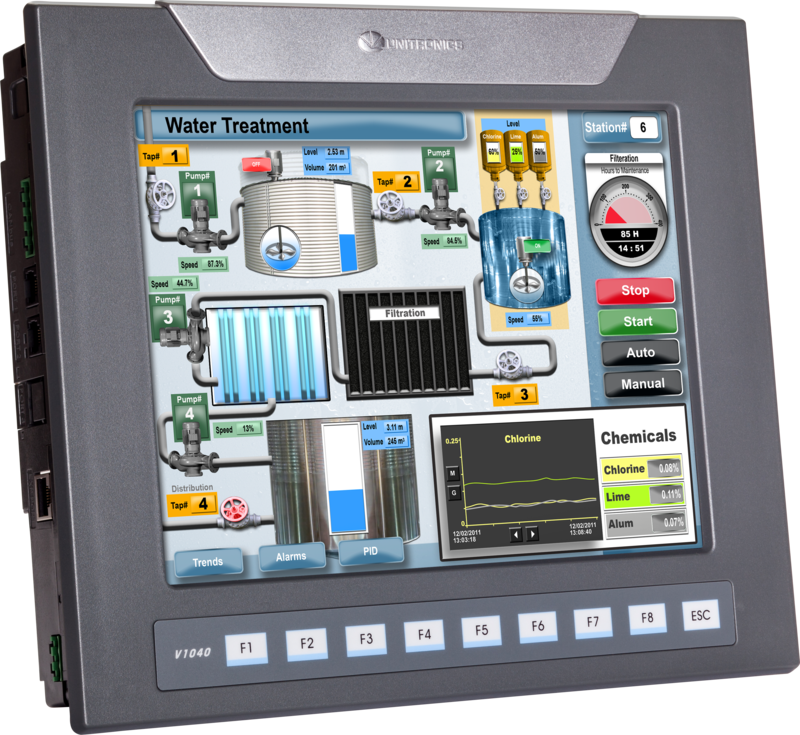 This device is an integrated HMI and PLC with full control functionality. 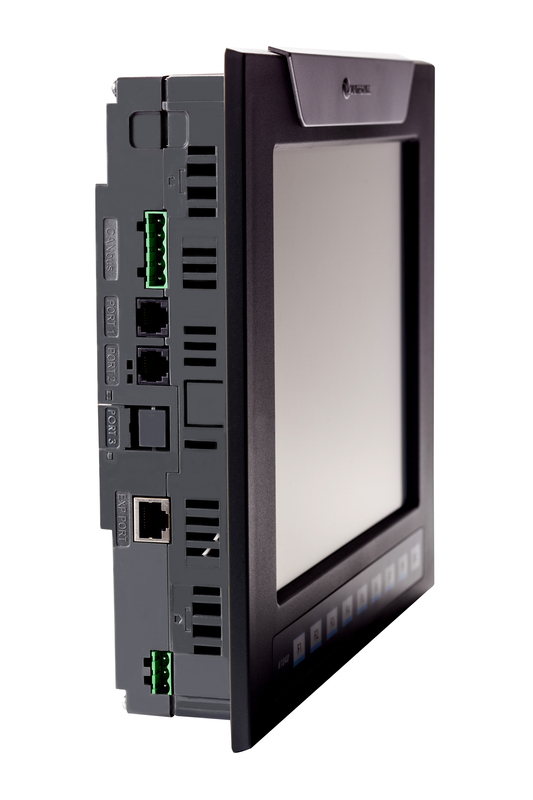 ...See More A wide variety of digital and analogue IO options can be added and a built in USB programming port is standard. 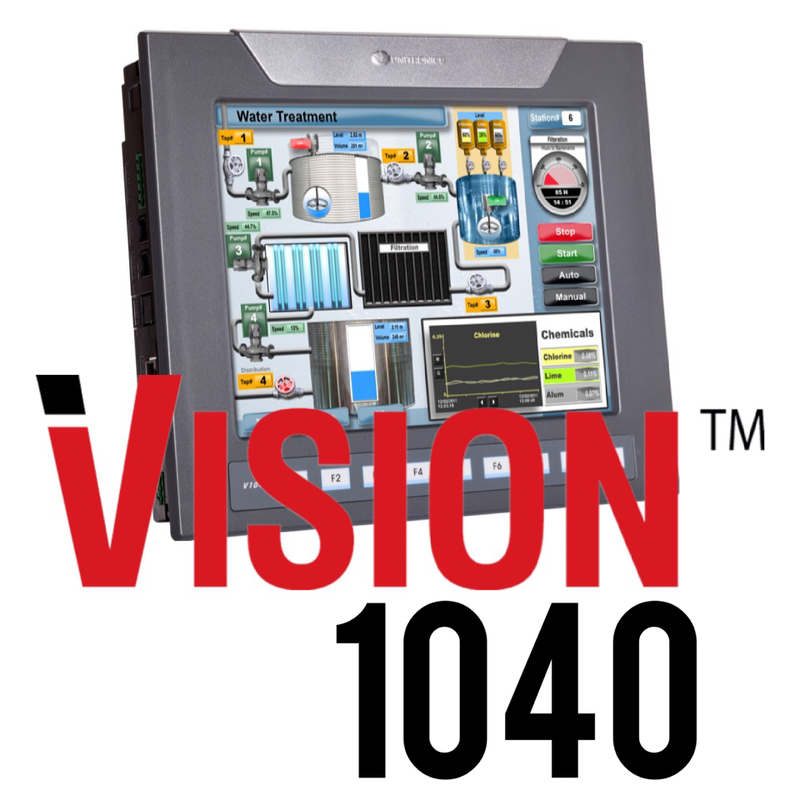 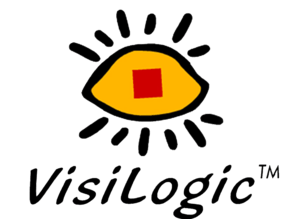 Powerful communication ability, flexible on-board I/O options, and built-in recipe capabilities are just a few of the benefits of the Vision 1040™, the all-in-one controller. 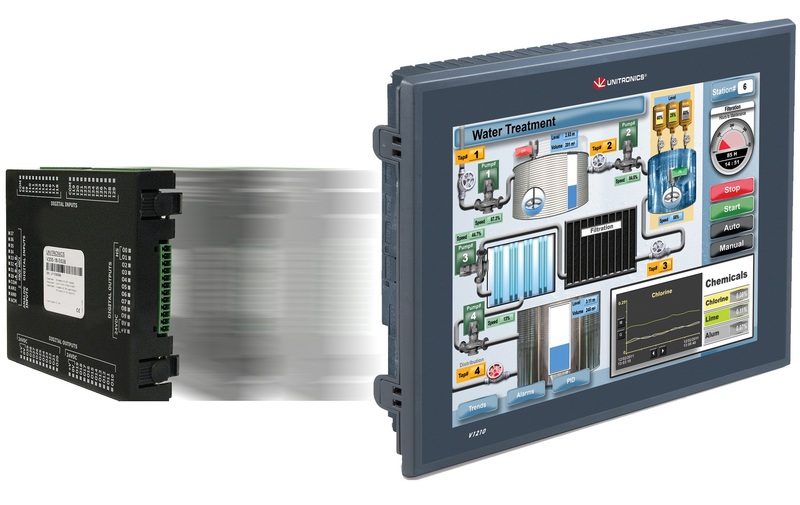 Communication options include TCP/IP Ethernet, GSM & SMS, MODBUS and CANopen. 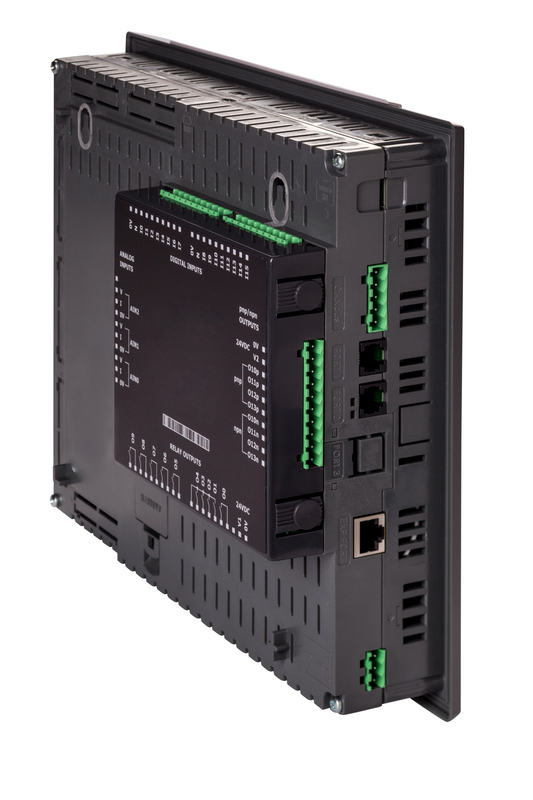 Either the V200-19-RS4X RS232 & RS485 card and the V200-19-ET2 Ethernet card may be added as an option to expand the communication ports avalable.